Thai Resorts treats visitors with true professionalism. 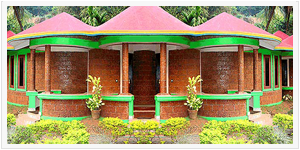 Sree Muthappan Temple is a prime pilgrimage center in north Kerala. Gallery contains various of attractions..
Tourism @ Thai provide information on all tourist attractions. Thai Resorts treats visitors with true professionalism. We realize how important it is for you and your family members to have a 'feel at home' experience without having to go through the usual quagmires of hotel accommodation. 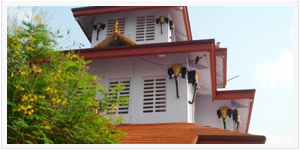 When you reach Parassinikadavu Sree Muthappan Temple, you would need a peaceful place to relax. Thai Resort who is devoted to serve the devotees of Sree Muthappan offers you a clean, comfortable and peaceful accommodation facility.